When Snapchat's CEO Evan Spiegel took the main stage at this year's Cannes Lions International Festival of Creativity, the crème de la crème of advertising conferences, his company's prominent place in the marketing world seemed solidified. But that was only one of the big moments in 2015 that suggested his mobile app—with millions of teens and college kids who use it constantly—would become a mainstay for brands. From convincing publishers to set up Snapchat-specific newsrooms to charging brands upward of $750,000 for ephemeral vertical ads, '15 was a wild ride for the Venice, Calif.-based startup. Here are four noteworthy developments that kept Snapchat top of mind for digital marketers this year. 1. It's quickly catching up to Facebook for video views. People watch 6 billion videos every day on Snapchat, not far from Facebook's 8 billion. That's a big jump from October, when Snapchat claimed to have 4 million daily video views. More generally, it's become one of the buzziest platforms around. For instance, the digital music company iHeartRadio generated 340 million impressions on the mobile app during its two-day music festival in mid-September, an industry source told Adweek. 2. 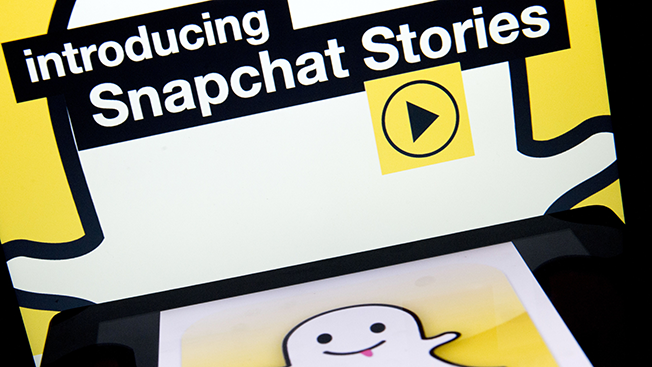 Publishers have Snapchat-focused newsrooms. That kind of traffic has publishers lining up to be on the platform. When Snapchat revealed plans to launch a news portal with 11 major media brands in January, observers questioned if the platform had enough scale to keep publishers and advertisers' attention for the long haul. A year later, Hearst and Refinery29 have Snapchat-specific newsrooms, and brands including Burberry and Coca-Cola have gone all in on ads. A total of 18 U.S. publishers (Fusion joined earlier this month with a trial run) now crank out a series of daily photos, videos and GIFs. And Snapchat has hinted that the marketing possibilities within Discover will continue to expand. In October, Sony Pictures became the first brand to purchase its own standalone Discover channel to promote its James Bond: Spectre film. 3. It has diversified its ad offerings. Snapchat started building up its ad business late last year, and it spent 2015 rebuilding it. After asking brands to shell out $750,000 for short-lived ads, Snapchat retooled its offerings in May with 10-second video ads that cost 2 cents per view. Since then, it's launched sponsored geofilters, which are location-based graphics that overlay users' photos. There's also Sponsored Lenses, which let users place a promoted image next to a selfie. 4. Thanks to Snapchat, vertical video has gone from an oddity to "the cool thing." According to Snapchat, vertically shot clips are nine times more likely to be watched until the end than horizontal videos. That data point led to Snapchat, WPP and The Daily Mail launching an ad agency called Truffle Pig that solely focuses on vertical video advertising.